Denise: For those of us who may be new to the series, can you tell us about Rafe and his family? Why do they live in Alaska and what kind of business are they in? 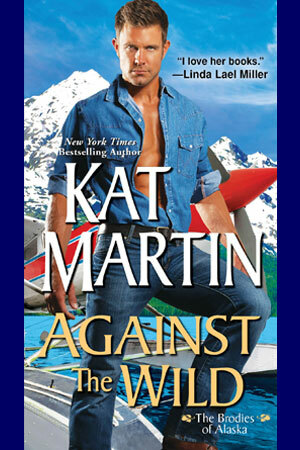 Kat: All three of the Brodie brothers–AGAINST THE WILD, AGAINST THE SKY, and AGAINST THE TIDE–live in Alaska. Rafe lives in Valdez, which is a tiny fishing village about three hundred miles from Anchorage. He owns a small charter boat fishing fleet. Denise: Your latest installment in this series, “Against the Tide,” is Rafe’s story. Clearly, from the beginning it’s about the murder of a friend. Who was Scotty Ferris and what kind of impact did his friendship have on Rafe’s life? Kat: Scotty was Rafe’s first mate, a young man in his early twenties engaged to be married in just a few weeks. Scotty’s fianceé, Cassie Webster, works for Olivia Chandler, the new owner of the Pelican Café. Liv gets involved in the murder investigation through her concern for Cassie and past wrongs that she has been unable to right. Denise: Who found Scotty’s body and where? Did the young man have any enemies? Does Rafe? Kat: A young couple found the body, which sets the investigation in motion. Finding the motive for the crime is the question Rafe, Liv and the police must solve. In their quest, it comes to light that Olivia has enemies more powerful than the man or men who murdered Scott Ferris. Denise: Has Rafe ever investigated a crime such as this? Kat: He’s just nosing around at first. There are only 12 police to cover hundreds of square miles of Alaska in the Valdez area. He’s following clues, just trying to make sure Scott’s killer is found. Then Liv gets involved and the stakes go higher. Denise: Are there any clues to help him begin his investigation? Kat: Fuzzy images on a security camera. The fact Scott won some money that night at his weekly poker game, which might have been a motive. Denise: Who acts as Rafe’s support system? Kat: Rafe has two brothers, Dylan and Nick, and he is a well-know, well-respected man in the small fishing town. Denise: What does the law think about him getting involved? Kat: At first the police are okay with Rafe and Liv asking questions. They can use all the help they can get. As the murder morphs into higher levels of danger, the authorities are unsure exactly what to do and who to trust. Denise: Of all the books in this series, which one was the hardest for you to end because you loved writing it? Kat: I would say the last two were both difficult to leave. Nick was such a sweet, tough guy and his relationship with Samantha was so warm and romantic. Rafe is smart and the kind of man who takes care of the people he loves. He shoulders responsibility, never lets anyone down. He and Liv were a great couple to write. Denise: How many books do you hope to write for the series? Kat: I’ve already written twelve, plus the next two–though the titles of those have been tweaked a little. INTO THE FURY and INTO THE MALESTROM, detective stories set in the Seattle area. INTO THE FURY is Ethan Brodie, a cousin. 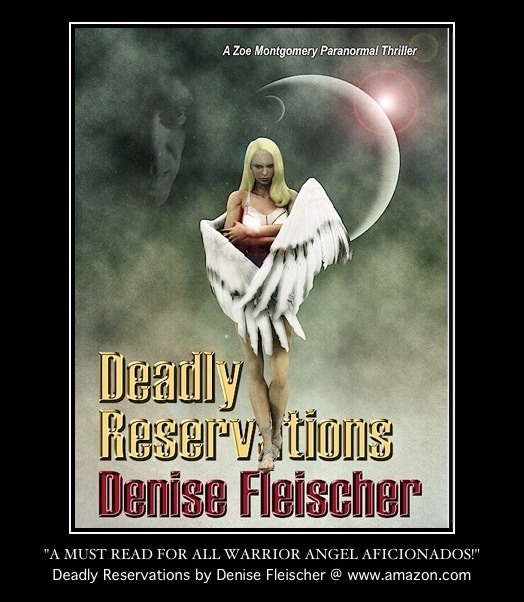 Denise: What’s it like having two authors in the family? Do you have the same writing schedules? Kat: We are completely different in our writing times, activities, everything. L.J. gets up early, works, spends time outdoors, works, goes outdoors, works….I sleep later, work all day, try to end at 6 pm (or 5 if I can). Denise: Do you share an office? Kat: We would kill each other if we shared! No, we each have our own spaces. I like quiet, he likes noise. It would never work. Denise: Do you go to book expos and conferences? Kat: We both love attending conferences. We aren’t going as much this year because we’re going to Europe for 3 weeks, which threw off our travel schedule. We will be in Bozeman, MT for a writers conference and signing in June, and also in Lubbock, Texas for Western Writers of America. Her last nine books have hit the prestigious New York Times bestseller list. Both AGAINST THE WILD and AGAINST THE SKY, her latest release, took top ten spots. AGAINST THE TIDE the 3rd book in the Brodies of Alaska series will hit shelves in a couple weeks!